Can you image using the restroom in zero gravity? It would be quite difficult. 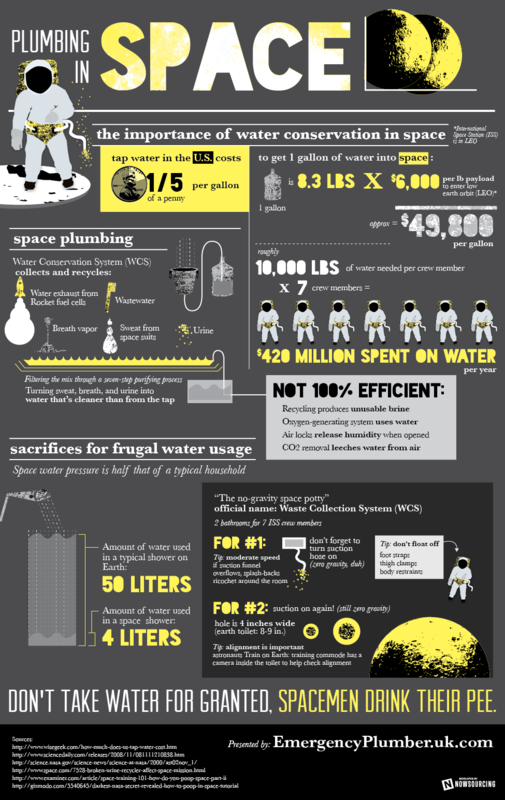 Check out this infographic to learn about how plumbing in space works.